This month's new, interesting and best round-up features the most unique and delicious foods our reviewers have sampled. Hot dogs, a vegetarian menu, and an Afghani restaurant showcasing delicious exotic foods all make an appearance this month. Keep reading for more. As always, if you know of any new, unique or just down right yummy places we need to visit, comment on this article or visit our contact page and let us know all about it. 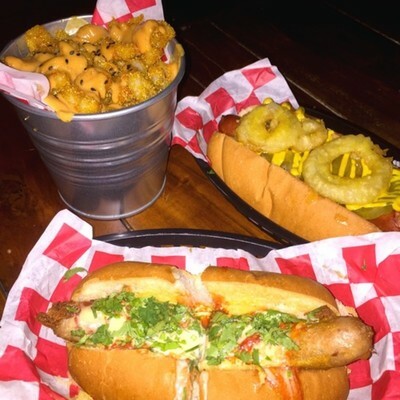 The Soda Factory - one of the few places you can sample authentic American style hot dogs in Sydney. Bobby’s Boss Dogs and its garish, albeit nostalgic neon décor actually hides a much more subtly decorated secret. Journey through a vending machine and sample the creative American diner inspired menu which includes spicy popcorn shrimp, hot dogs named after celebrities and decadent dessert shakes. This tasty tofu parcel is sure to make even the biggest sceptic a tofu lover. This charming restaurant in Belmore offers vegetarian, Asian inspired cuisine. The food is sustainable and cruelty free, with traditional dishes made of meat and protein substitutes. The chefs at Joy Veg Fruit Dining deliver delicious food in a lovely atmosphere, with great service - definitely worth a visit. 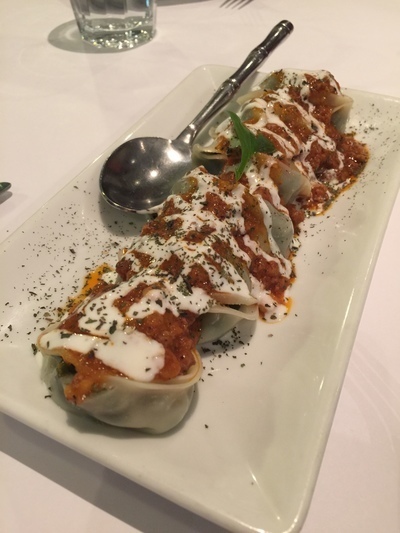 Ashaak dumplings covered in a tasty sauce. This place really deserves to be in two categories this month, because it offers both delicious and unique cuisine. Equipped with an exotic banquet menu, the chefs at Bamiyan will introduce you to a whole new world of Middle Eastern food that is so much more than kebabs and charcoal chicken. It's been a slow month in the new restaurant stakes, but stay tuned to see what we've got in-store for May.